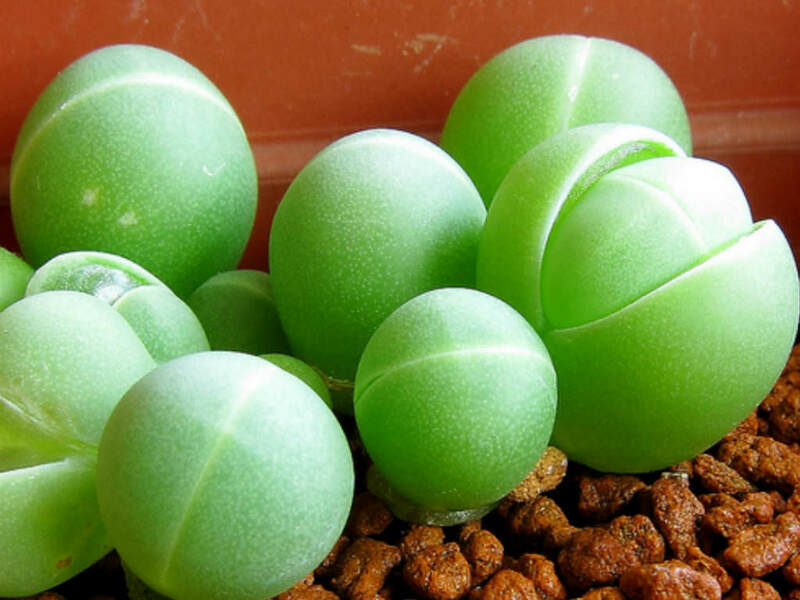 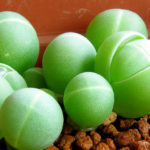 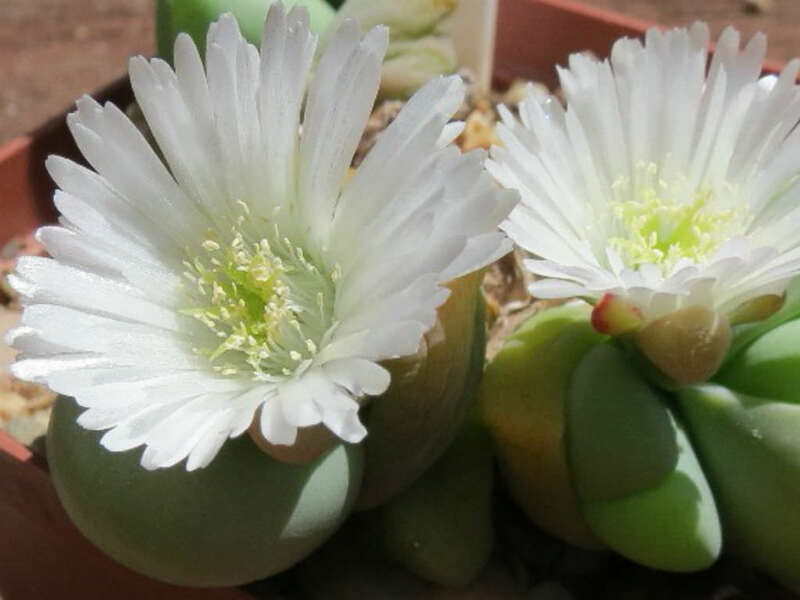 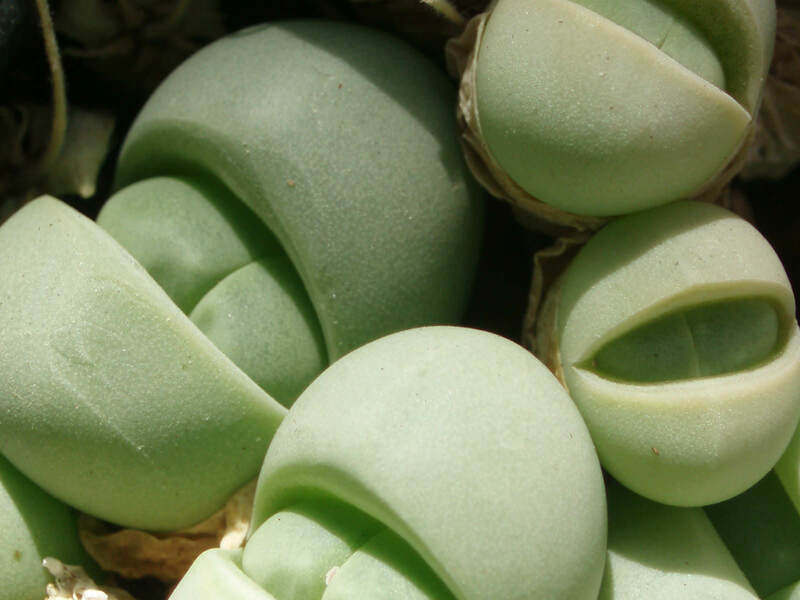 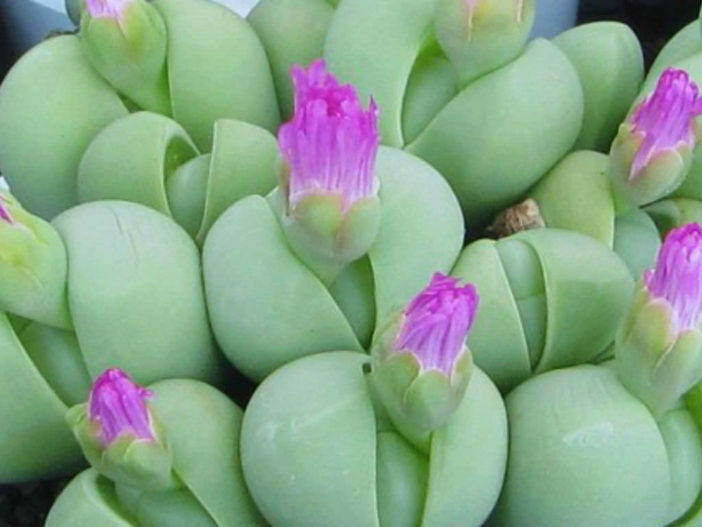 Gibbaeum heathii is a dwarf succulent plant, up to 1.2 inch (3 cm) tall, with very short stem and green to whitish or grayish pair of leaves when grown in full sun. 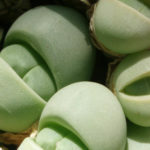 The pair is almost spherical to obovoid, fleshy, up 2 inches (5 cm) in diameter. 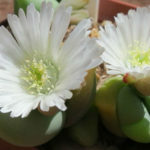 The flowers are enclosed between the leaves, white, cream or pale pink in color, and up to 1.3 inches (3 cm) in diameter.